Packages and containers are at risk of being dropped or damaged during handling and shipping. Package integrity and product protection are important packaging functions. 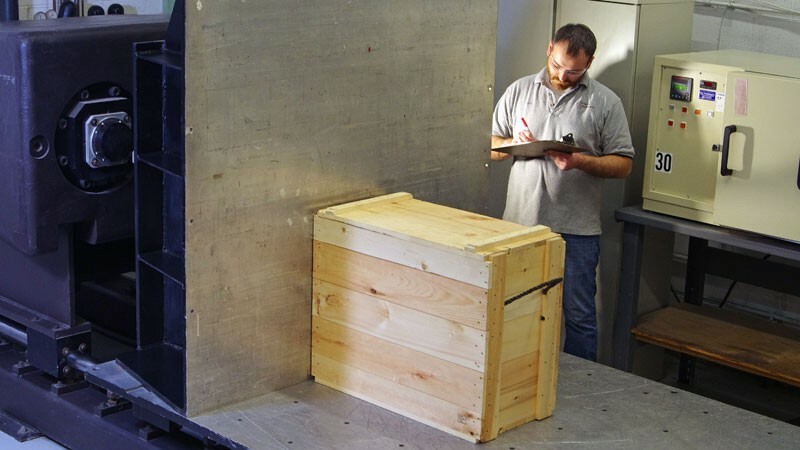 At Advance Packaging Technology Laboratories, our team of technicians conduct tests to measure the resistance of packages and products to shock and impact. In addition, our technicians also conduct tests to determine the effectiveness of package cushioning when used to protect a product from shock and to measure the shock transmitted to a cushioned product. Copyright © 2016 Advanced Packaging Technology Laboratories Inc. All rights reserved.